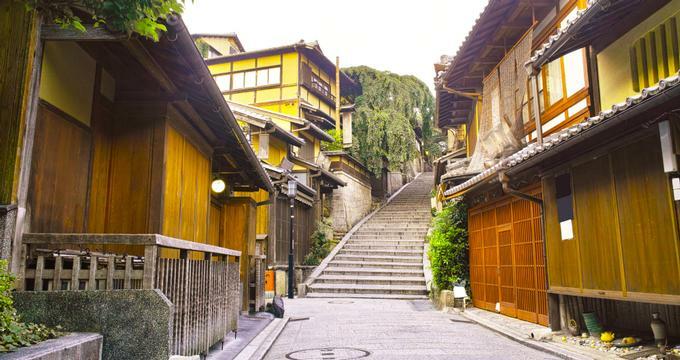 Located on the island of Honshu, Kyoto is the former capital of Japan. The city is known for its rich history; there seem to be temples, shrines, and palaces almost everywhere you turn, and there's no shortage of opportunities to learn about traditional Japanese culture. However, there are all sorts of things to do even if you're not interested in the city's history, including plenty of beautiful parks and some of the best restaurants and bars in the country. Whether you're traveling for business or pleasure, we've rounded up this list of the best hotels in Kyoto. 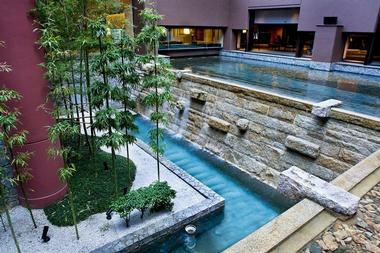 Tucked away in a beautiful Japanese garden, Yachiyo is a four-star hotel with a relaxing atmosphere. The rooms are decorated in a traditional Japanese style, including tatami mats and chabudai tables, but they're furnished with modern amenities like free Wi-Fi and smart TVs. The hotel restaurant overlooks the gardens and serves traditional Japanese food, and guests are also welcome to use the large public baths. Room service is available, and in-room massages can be arranged for a fee. Guests can rent bicycles to explore the city, but the closest train station is only a 5-minute walk away. Found next to the Kyoto Imperial Palace, Noku Kyoto prides itself on providing guests with an authentic Kyoto experience. There are more than 80 rooms to choose from; all are decorated with pieces of art that were handpicked to showcase the culture and history of Kyoto. In-room amenities include flat-screen TVs and minibars, and the bathrooms offer bathtubs and free toiletries. 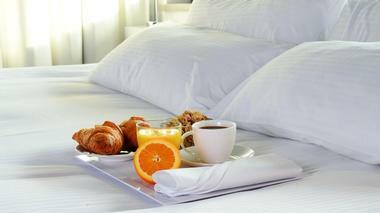 Breakfast is included in the price of the room, and guests can order lunch and dinner from the on-site restaurant. The front desk is open 24/7, and luggage storage is available free of charge. An elegant five-star hotel, Kyoto Brighton Hotel offers a taste of true luxury in the downtown neighborhood of Kamigyo-ku. The rooms come with flat-screen TVs, rainfall showers, and minibars, and some also offer balconies with views of the city. Guests are welcome to enjoy their meals at any of the hotel's four upscale restaurants, but there are also plenty of restaurants and attractions within walking distance of the hotel. For guests who want to venture further, Imadegawa Subway Station is less than a 10-minute walk away and a complimentary shuttle service is available to transport guests to and from Karasuma Oike Subway Station. 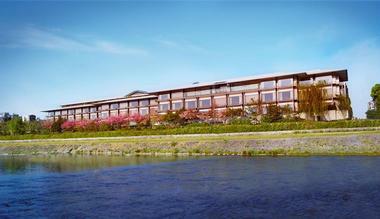 Situated within walking distance of downtown, the Sunroute Hotel Kyoto offers 144 rooms spread out over nine stories. 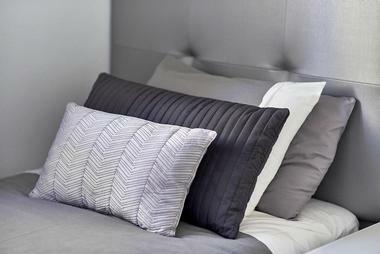 The cozy rooms can accommodate between one and three guests, and all are equipped with flat-screen TVs and mini-fridges. The ninth floor of the restaurant is home to an Italian restaurant with floor-to-ceiling windows that offer spectacular views of the city and the nearby river. Other amenities include a laundry room with coin-operated machines, a business center with meeting rooms, and a small souvenir store. Wi-Fi is available all throughout the hotel, and the front desk is open 24/7. Offering comfortable, modern rooms with air conditioning, the Almont Hotel Kyoto is conveniently located only a 5-minute walk away from the east exit of the Hachijo train station. All of the rooms are furnished with flat-screen TVs and free Wi-Fi; complimentary green tea, toiletries, and slippers are provided as well. 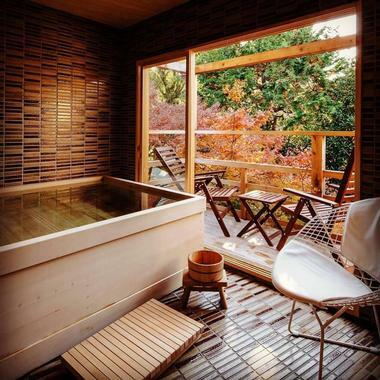 When not relaxing in their rooms or exploring the city, hotel guests can unwind in the communal bathhouse, which offers separate baths for men and women. Guests are also welcome to do their own laundry in the hotel's laundry facilities, which offer coin-operated machines. 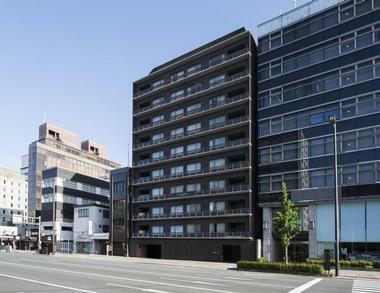 Set within easy walking distance to Kyoto's business district, Citadines Karasuma-Gojo Kyoto offers furnished apartment-style accommodation suitable for both business and leisure travelers. Some apartments have separate living rooms and dining areas, and all come with free Wi-Fi, flat-screen TVs, and en suite bathrooms with bathtubs. The apartments all have full kitchens as well, but if guests don't want to prepare their own food in the mornings, a breakfast buffet is available for an additional fee. Business facilities are available for travelers who might need them, and self-serve laundry facilities can be found on site as well. Only a few minutes away from the Kyoto Tower, the Dormy Inn Premium Kyoto Ekimae offers casual rooms with free Wi-Fi, kitchenettes, and private toilets. Guests are welcome to do their laundry in the hotel laundry room; washing machines can be used free of charge, but the dryers are coin-operated. The hotel offers plenty of other communal amenities as well, including a computer station, a convenience store, a sauna, and a top-floor bathhouse with both indoor and outdoor tubs. 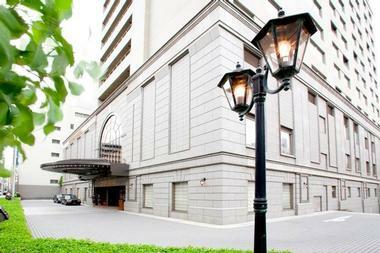 The hotel restaurant serves up both Japanese and Western cuisine, and a breakfast buffet is offered in the mornings. 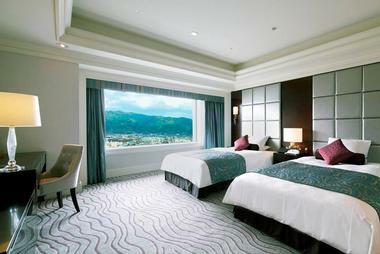 Established in 2016, the Four Seasons Hotel Kyoto is a luxurious five-star establishment that offers elegant rooms with sitting areas as well as one and two-bedrooms suites. The beautifully furnished rooms come with flat-screen TVs, complimentary iPads, and coffee and tea making facilities, and Wi-Fi is available all throughout the hotel. There are also plenty of communal amenities for guests to enjoy; highlights include a peaceful garden with a pond and a teahouse, a sushi bar, a 24-hour fitness center, and a spa with a large swimming pool, two hot tubs, and a sauna. Located just over a mile away from the city center, Hotel Grand Bach Kyoto Select is a great place to base yourself if you're interested in exploring all the city has to offer. The rooms are all equipped with free Wi-Fi, mini-fridges, and flat-screen TVs; some also have futon beds, tatami mats, and separate living areas. There are plenty of shops and restaurants around the hotel, but guests are more than welcome to relax in the hotel restaurant. A bathhouse and sauna are also available for guest use, and parking and laundry services are offered for a fee. Not only does it offer spacious rooms and free Wi-Fi, but Hotel Granvia Kyoto also boasts an incredibly convenient location right next to the Kyoto Station. The hotel is decorated with more than 1,000 unique pieces of art, and the rooms feature amenities like extra-long beds, minibars, and electric kettles. Guests can use the fitness center, swimming pool, and sauna for an additional fee; these facilities are reserved for the use of guests over 20 years of age. A breakfast buffet is included in the room rate, and the hotel offers multiple dining options for lunch and dinner, including French, Chinese, and Italian restaurants. With its clean, no-frills rooms and its great location, Hotel Hokke Club Kyoto caters to budget travelers who don't want to compromise on comfort or cleanliness. The rooms feature wooden desks, mini-fridges, bathtubs, and electric kettles; female-only rooms are available if desired. Laptops can be rented from the front desk, but there are also several complimentary computer stations in the lobby. Guests are also welcome to enjoy the two on-site restaurants, one of which serves breakfast and dinner while the other offers snacks and beverages all day long. In-room massages can be arranged upon request. Decorated with an appealing combination of Japanese and Western furnishings, Hotel Kanra Kyoto offers spacious rooms with tatami mat floors and wooden soaking tubs. 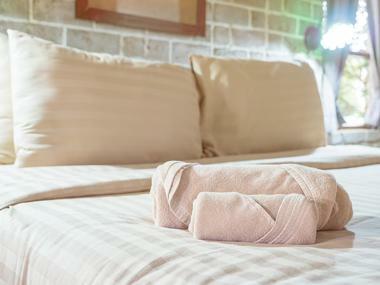 Complimentary toiletries are provided in all the bathrooms, and each room comes with free Wi-Fi and flat-screen TVs. The hotel restaurant is open for both lunch and dinner; breakfast is served as well, and guests are given the choice between Japanese and Western set breakfast menus. Electric bicycles can be rented in the lobby, and the Kyoto Station is just over 10 minutes away from the hotel by foot. 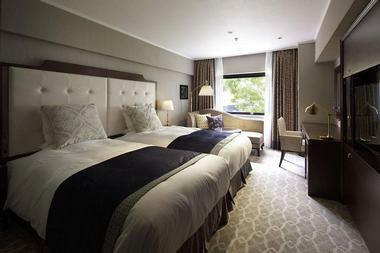 Consistently rated one of the city's best hotels by the Michelin Guide, Hotel Nikko Princess Kyoto is a family-friendly hotel that offers a selection of comfortably furnished rooms and suites decorated in a European style. All guests are provided with complimentary sleeping clothes, and the rooms are equipped with electric kettles, mini-fridges, air purifiers, and flat-screen TVs. Free Wi-Fi is available all throughout the hotel property. There are five on-site restaurants for guests to choose from for lunch and dinner, and every morning there is a breakfast buffet with over 70 different breakfast items. The HOTEL UNIZO Kyoto Shijo Karasuma has been open since 2014, and it offers refined rooms with comfortable beds and large bath tubs. Complimentary Wi-Fi is provided in all rooms, and every room is furnished with a flat-screen TV, a desk, and an air conditioner. Female guests can request to stay on the women-only floor; there is also a separate women-only lounge with magazines, comfortable seating, and complimentary coffee and tea. The hotel restaurant and cafe is open every day between 7 a.m. and 9 p.m., and breakfast is served from opening until 11 a.m.
Nestled in the heart of Kyoto's shopping and sightseeing district, Hotel Vista Premio Kyoto offers simple but modern rooms with complimentary internet and flat-screen TVs. 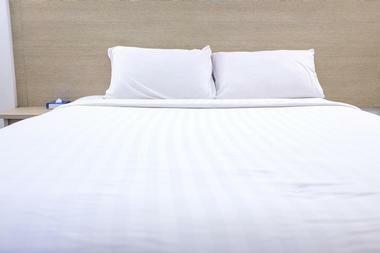 The rooms are also equipped with air conditioning and humidifiers, and coin-operated laundry machines can be found on the ground floor of the hotel. There are two different on-site restaurants for guests to choose from: One offers a buffet, while the other serves up Chinese-style hot pots. If you're not in the mood for either option, there are plenty of restaurants around the hotel and the Nishiki Market is only a 10-minute walk away. The Hyatt Regency Kyoto prides itself on its beautiful rooms and its excellent service, and it offers three restaurants for guests to choose from: A French grill, an Italian trattoria, and a traditional Japanese restaurant. Some of the rooms feature balconies and wooden bathtubs, and the suites are all furnished with tatami mats and short-legged tables. Guests can pay a fee to join in the daily yoga classes held in the hotel gym, or they can pamper themselves in the on-site spa, which offers hot tubs and a sauna as well as a wide range of treatments, including acupuncture, aromatherapy, and massage. 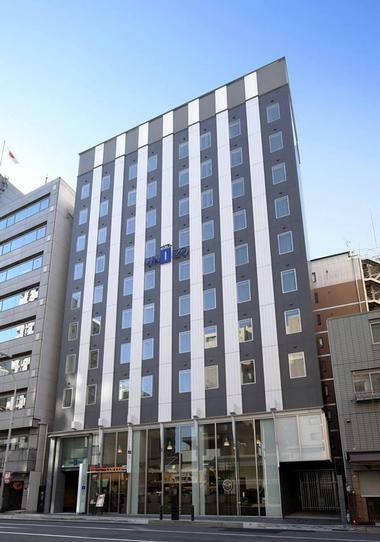 Sitting right in front of the Kyoto train station, the Ibis Styles Kyoto Station is a cheerful three-star hotel with clean, simple rooms and complimentary Wi-Fi. Smoking is not permitted in any of the rooms, and all rooms come furnished with flat-screen TVs with pay-per-view channels, electric kettles, bath tubs, and complimentary toiletries. The front desk is open 24/7; free luggage storage is available, and the staff are happy to arrange in-room massages. The on-site restaurant serves both Japanese and Western cuisine, and a delicious breakfast buffet is included in the room rate. Set in a charming red brick building not far from the Kyoto train station, the Kyoto Century Hotel offers a selection of cozy rooms and suites with complimentary Wi-Fi. The rooms and suites are all furnished with desks, flat-screen TVs, minifridges, and tea and coffee making facilities, and some of the suites boast private gardens as well. The bathrooms come with both bathtubs and showers, and plenty of complimentary toiletries are provided, including toothbrushes. There are three on-site restaurants for guests to choose from; a Western-style breakfast buffet is offered for an additional fee, and room service is available. The Kyoto Hotel Okura is situated inside a towering building in the heart of Kyoto, and it's conveniently attached to the Shiyakusho-mae Subway Station. Many of the rooms offer excellent views of the nearby mountains, but the best views are to be had from the French restaurant on the hotel's top floor. The rooms boast extra-long beds, sitting areas, and complimentary bathrobes, and communal amenities include a swimming pool, a hairdresser, and an excellent selection of boutique shops. Baby-sitting services are available on request, and a complimentary shuttle service is provided to and from the Kyoto train station. With its beautiful courtyard and waterfall garden, Kyoto Tokyu HOTEL provides a peaceful, welcoming escape from the hustle and bustle of the city. Free Wi-Fi is available all throughout the property, and all of the rooms come with minibars, bathtubs, and comfortable sitting areas. Suites and upgraded rooms have special touches like traditional wooden furniture or hardwood floors, and guests staying in upgraded rooms are given free access to the on-site fitness center. There are also several restaurants and bars for guests to enjoy; one boasts excellent views of the lush courtyard, and another features a floating bar. Offering affordable rooms and easy access to public transportation, Smile Hotel Kyoto Shijo caters to leisure travelers on a budget. The rooms are comfortable but basic; they come furnished with flat-screen TVs, mini-fridges, and electric kettles. 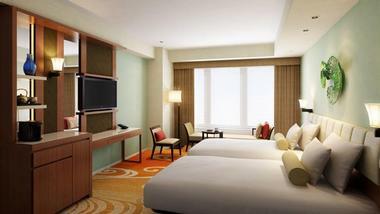 Complimentary slippers and sleepwear are provided, and in-room massages can be arranged by the staff at the front desk. Guests can do their own laundry in the on-site laundry room, and although there is no parking on the hotel property, there are pay parking lots nearby. For an additional fee, guests can enjoy a morning breakfast buffet with both Japanese and Western items. 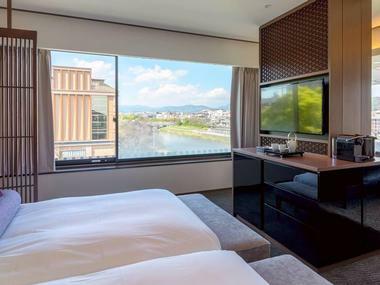 Solaria Nishitetsu Hotel Kyoto Premier boasts an excellent location right across from the Kamo River, and many of the rooms offer great views of the water. All of the rooms come with sitting areas, and some also offer living rooms or terraces. 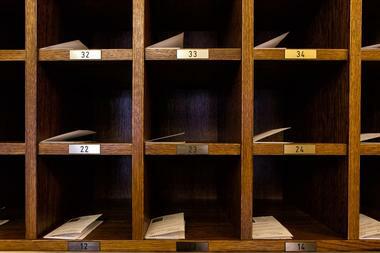 Luggage storage is available free of charge, and a concierge is at the hotel during the day to cater to guests' needs. Other amenities include a restaurant serving both Japanese and Western cuisine, a paid parking garage, and a public bath that provides a view of the river and separate baths for men and women. Perched on the shore of the Kamogawa River, the Ritz-Carlton, Kyoto offers the same luxurious five-star service and accommodation as all the other hotels in the Ritz-Carlton chain. The elegant rooms all boast special touches like marble bathrooms with rain showers and Nespresso coffee machines, and they offer views of either the river, the mountains, or the beautiful hotel garden. An indoor swimming pool and fitness center are available for guest use free of charge, and the hotel regularly offers free activities like art tours, children's treasure hunts, and guided cycling tours. Guests can also enjoy massages and other treatments in the hotel spa. Known for its peaceful atmosphere and its spacious rooms, Village Kyoto is an ideal choice for families and for large groups traveling together. The rooms are furnished with tatami mats, microwaves, and mini-fridges, and guests are provided with complimentary bathrobes, pajamas, and slippers. Separate women's and men's bathhouses are available, and in-room massages can be arranged if desired. There is no restaurant on-site, but guests can arrange to have a continental breakfast delivered to their room in the morning for an additional fee. Complimentary Wi-Fi is available all throughout the hotel, and there is a convenient coin-operated laundry room in the lobby. 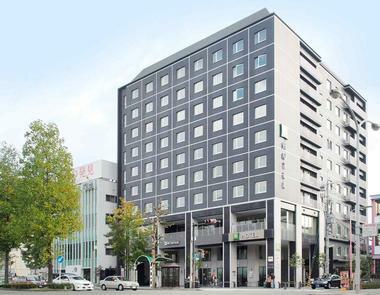 Boasting an excellent location in the heart of downtown Tokyo, the Daiwa Roynet Hotel Kyoto Shijo Karasuma is a comfortable hotel with a selection of modest single and double rooms. Air conditioning is provided in all the rooms; other amenities include electric kettles, humidifiers, and flat-screen TVs that come with video on demand. In-room massages can be arranged upon request, and a Japanese-style breakfast buffet is available every morning for a surcharge. A guest computer station with wired internet access is available in the lobby, and the front desk is happy to provide 24/7 luggage storage.